Hayes was born in Gloucester. He trained at Gloucester Cathedral and spent the early part of his working life as organist of St Mary’s, Shrewsbury (1729) and Worcester Cathedral (1731). The majority of his career was spent at Oxford where he was appointed organist of Magdalen College in 1734, and established his credentials with the degrees of B.Mus in 1735 and D.Mus in 1749. (He was painted by John Cornish in his doctoral robes around 1749.) 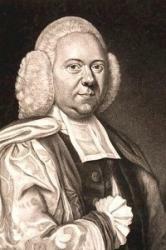 In 1741 he was unanimously elected Professor of Music and organist of the University Church. He presided over the city’s concert life for the next 30 years, and was instrumental in the building of the Holywell Music Room in Oxford in 1748, the oldest purpose-built music room in Europe. He was one of the earliest members of the Royal Society of Musicians, and in 1765 was elected a ‘privileged member’ of the Noblemen’s and Gentlemen’s Catch Club. He died in Oxford, aged 69. William Hayes was an enthusiastic Handelian, and one of the most active conductors of his oratorios and other large-scale works outside London. His wide knowledge of Handel left a strong impression on his own music, but by no means dominated it. As a composer he tended towards genres largely ignored by Handel—English chamber cantatas, organ-accompanied anthems and convivial vocal music—and his vocal works show an English preference for non-da capo aria forms. Hayes also cultivated a self-consciously ‘learned’ polyphonic style (perhaps inspired by his antiquarian interests) which can be seen in his many canons, full-anthems, and the strict fugal movements of his instrumental works. Nevertheless, several of his late trio sonatas show that he was not deaf to newly emerging Classical styles. Although he published virtually none of his instrumental music, his vocal works were extremely popular, and the printed editions were subscribed to by large numbers of amateur and professional musicians. Substantial works like his ode The Passions, the one-act oratorio The Fall of Jericho, and his Six Cantatas demonstrate that Hayes was one of the finest English composers of the eighteenth century. As a writer, his Art of Composing Music includes the first published description of aleatoric composition—music composed by chance—albeit deliberately satirical in intent. In his Remarks he reveals much about his aesthetic outlook: in particular that he valued the music of Handel and Corelli over that of Rameau, Benedetto Marcello and Geminiani. Finally, the Anecdotes offer insights into the organization of provincial music festivals in the mid-eighteenth century. Hayes bequeathed his important and wide-ranging music library to his son Philip Hayes; the manuscripts of both father and son eventually passed to the Bodleian Library, Oxford, in 1801.